Come, we will rest on this old mossy bridge. You see the glimmer of the stream beneath. And hark, the nightingale begins its song- (Coleridge 1-13). The Scholar Beth Lau has similarly been affected by the “sympathetic quietude” of this opening passage and suggests that Coleridge hoped to incite a “relaxed condition” in the reader that would make him or her more receptive to his later unconventional poetical interpretations that he presents in his poem that he may have thought would be best be received if the reader is serene (Lau 542). So, this poem made me realize that Coleridge is not only one of the most imaginative poets I have read who is capable of detailing somber themes and dark emotional states of consciousness given my previous knowledge of his work, Coleridge’s musical use of language and manipulation of the tone of the poem also makes me feel that he is a very melodious and touching poet too. Although the heartening tone of Coleridge’s language is a remarkable element of the poem, his discussion of the nightingale is also especially refreshing. In the poem, he critiques the gloomy associations that the nightingale usually incurs and asserts that “in nature there is nothing melancholy” from at least his perspective, and throughout most of the rest of the poem he brings to light why the nightingale deserves to be commemorated as a “merry” and “musical” bird (Coleridge 15, 42, 13). 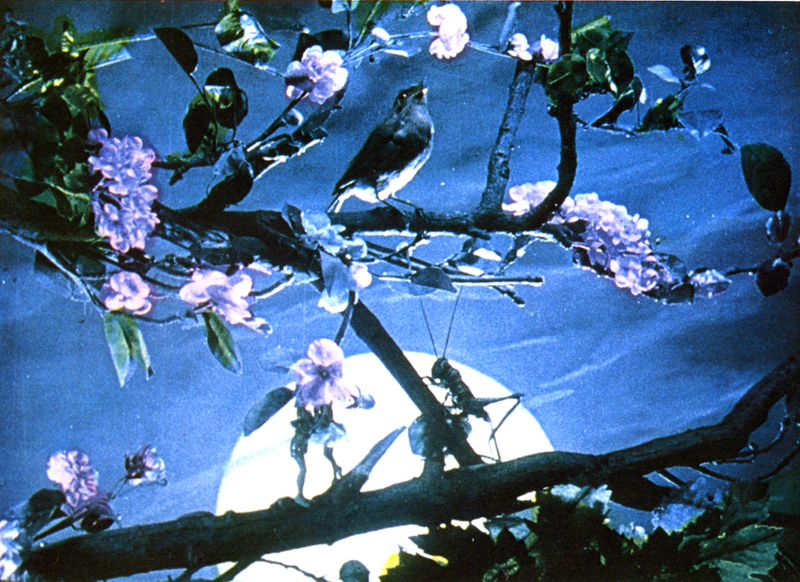 However, in Coleridge’s poem he also criticizes how the nightingale most likely became known as a dismal songbird: “Some night-wandering man whose heart was pierced / With the remembrance of a grievous wrong / Or slow distemper or neglected love. . . . And made all gentle sounds tell back the tale / of his own sorrows . . . and he. . . . First named these notes a melancholy strain / And many a poet echoes the conceit” (Coleridge 16-23). Overall, Coleridge’s main treatise of the poem is that people should not incorporate their own inner emotional experiences into their interpretation of nature using the nightingale as an example. The scholar Gene Bernstein eloquently describes Coleridge’s message regarding how people need to remove their own conscious selves from their appraisals of the natural word in lieu of the nightingale’s widespread false characterization that began with a few people who inadequately observed nature: “They ought instead to have directly experienced the bird for themselves, have opened themselves to influxes of shapes and sounds, surrendered to what is encountered, and thus shared in nature’s immortality by temporarily dissolving their sense of ‘self’ preparatory” (Bernstein 343). Samuel Taylor Coleridge even concludes his poem by hoping that his infantile son Hartley Coleridge will always be able to appreciate the beauties of nature that seemingly are not aesthetic due to man’s inability to both appreciate all natural wonders and his propensity to use his own feelings in his assessment of nature (Enright 497). However, he also uses his son Hartley Coleridge as an example of how nature can calm man when it is gratefully appreciated: “Once, when he awoke, / In most distressful mood (some inward pain / Had made up that strange thing, and infant’s dream) / I hurried with him to our orchard-plot / And he beholds the moon, and hushed at once / Suspends his sobs and laughs most silently” (Coleridge 97-102). Another person he integrates into the poem is the “gentle maid” who he claims he frequently observes walking to a “thicket” to enjoy the music that resounds from a large flock of nightingales who sing and live in the area (Coleridge 57, 69). His blithe description of the nightingales during this segment of the poem also brings to light the cheery, pleasant nature of many of Coleridge’s lines of poetry, and he portrays them as being like a “hundred airy harps” who “giddily” perch and fly in the “breeze” (Coleridge 82-84). In summary, Coleridge’s astute observations regarding the frequent tendency of human beings to misjudge the elegance and symmetry of all aspects of nature is artfully illustrated through his compelling defense of the sprightly and precious character of the nightingale in this moving poem by Samuel Taylor Coleridge. The combination of Coleridge’s rich language, poetical mastery, and inspirational message that he all incorporates into, “The Nightingale; A Conversational Poem,” have made this poem one of the most appreciated and researched poems in the English language. However, the poem’s ongoing use of symbols and imperfect “transitions” that adorn this poetical piece have not made this poem resistant to the inevitable critiques of the poem that Coleridge even received during his lifetime (Barbarese 675). Nonetheless, to a reader or scholar seeking pleasure or intellectual engagement, Samuel Taylor Coleridge’s poetical discussions of the nightingale in his poem provide not only complexity and a regenerative overall tone—but an enlightening message as well. Barbarese, J.T. “Dramas of Naming in Coleridge.” Studies in English Literature. 37. 4. EBSCO Host. Autumn 1997. Pgs. 673-699. Web. 16 Apr 2013. <http://0-search.ebscohost.com.sophi a.agnessc ott.edu/login.aspx?direct=true&db=a9h&AN=97120>. Bernstein, Gene. “The Recreating Secondary Imagination in Coleridge’s, ‘The Nightingale.’” English Literary History. 48. 2. JSTOR. Summer 1981. Pgs. 339-350. Web. 16 Apr 2013. <http://www.jstor.org/stable/2872975&gt;. Coleridge, Samuel Taylor. “The Nightingale; A Conversational Poem.” Romanticism: An Anthology. 3. Ed. Duncan Wu. Malden: Blackwell, 2006. Pgs. 353-356. Print. 16 April 2013. Enright, Timothy. “Identity and Temporality in Coleridge’s ‘The Nightingale.’” Studies in Romanticism. 33. 3. JSTOR. Fall 1994. Pgs. 481-501. Web. 16 Apr 2013. <http://www.jstor.org/stable/25601074&gt;. Lau, Beth. “Coleridge’s Reflective Moonlight.” Studies in English Literature, 1500-1900. 23. 4. JSTOR. Autumn 1983. Pgs. 533-548. Web. 16 Apr 2013. <http://www.jstor.org/stable/450261&gt;. I am guessing you liked my poem? What is your comment and Essay Board? Did you want to reference it on your sight that is about poetical essays?